At the time the French were settling in North America, science in the modern sense of the term was in its infancy: people still referred to ‘natural philosophy’ to describe the objective study of nature and the physical universe. Even so, a full-blown scientific and technical revolution was taking place in the 16th and 17th centuries. European scholars were developing methods of investigation that were rigorous, verifiable and reproducible. They published abundantly, consolidated their disciplines and formed institutions: in Paris, they created the Jardin du Roi and the Royal Academy of Sciences. Naturally, the New World was a popular subject of study for these early scholars who sought to explain and classify the physical universe. Astronomical observations were of paramount importance, since navigators relied on them to try and determine their longitude. To arrive at their destination, they had to observe the stars and invent instruments. To explore and claim a territory, they had to make advances in cartography. Jesuit missionaries, the first organized group in the colony with an advanced education, also documented their findings, not only in the heavens, but also in the mineral, plant and animal resources they observed. They were followed by the Royal physicians and engineers, who did the same. A few governors had scholarly aspirations as well, keeping up to date on European scientific developments and maintaining an extensive correspondence with their counterparts on the other side of the ocean. The French crown even financed the visit of a Swedish botanist to Canada. Colonization thus contributed to the advancement of knowledge. Imagine yourself along the shores of the Saint Lawrence Valley, Acadia or Louisiana, some four or even five hundred years ago. Surrounded by new cultures, new plants and animals and standing on an unfamiliar continent, how would you begin to situate yourself? How would you find out where you were, how far you were from familiar landscapes and ocean routes? How would you make sense of new environments, whether they be forests of unfamiliar plants and animals or the manmade landscapes of nearby Aboriginal communities? How, in effect, would you come to terms with a New France dramatically different than the one you had left behind on the other side of the Atlantic, and how would you record and analyze your experiences to share them with audiences in Paris and throughout Europe? Dear Lord, how am I angry to have embarked upon an enterprise as difficult as writing an account of the New World, where there are so many things to say; not knowing where it is best to start, I admit that I am strongly troubled for what chance is there, even after twenty years of assiduous labour and great voyages, that I can say what is necessary of so many beautiful curiosities in a foreign land where everything is different than ours? What means [exist] to reduce so many vast lands, and to speak in few words of so many different objects … from a country of which we have not yet discovered the limits? This was one of the major problems that faced many of those who travelled to New France in the seventeenth and eighteenth centuries, whether they did so as colonists, missionaries, administrators, merchants or explorers. When explorers such as Jacques Cartier and Samuel de Champlain travelled along the Saint Lawrence River or overland into what is now Québec and Ontario, they used an array of methods to both orient themselves and record their experiences. Both made extensive use of instruments that helped quantify and measure locations and distances, for example. They also looked to other travellers with specific skills. Both Cartier and Champlain also looked to trained apothecaries for insight into, for instance, the possible uses of local plants. The toolkit on which they drew was eclectic, and only partially recognizable as science to the modern eye. As we explore the history of science in New France, it is important that we relax our own conception of what this word means; New France was not a place for laboratories or expensive instruments. Instead, it was an area where what we often call “the applied sciences” dominated. Sciences such as botany, zoology or hydrography (the study of bodies of water) indeed prevailed in a colony where the more abstract sciences such as physics or chemistry found little traction. These were practical sciences that addressed the day-to-day concerns of living in a newly founded and slowly expanding colony. While mathematics was put to use throughout the colony, most of it had to do with the concrete tasks of mapping the land and navigating the ships that travelled along its shores and rivers. There was initially far more interest in finding edible or valuable plants than in the precise identification of leaf shape or structure. So our modern sense of science might be too narrow to be of use in discussing a colony where amateur scientists confidently described sea monsters, non-existent geographical features and supernatural powers that could cause earthquakes or illness. The history of science in New France is, first and foremost, the history of how those who came to the colony tried to understand the New World that they found themselves in, and how they tried to share their experience with readers and supporters in Europe. If the word “science” covered a broader range of activities than we might understand today, it is also true that science was practiced by a broader range of the community in New France than is common now. Those whose education made them uniquely capable of describing new-world environments for old-world audiences had often originally acquired their knowledge for other ends. Louis Hébert, one of the first settlers in Acadia and later an important colonist at Québec, is thought by historians to have been one of the most important providers of North-American plants for French collectors and gardeners. As a trained apothecary, he would have been able to describe and collect plants better than most, and might have been more inclined to begin to catalogue and experiment with his new environment. Almost one hundred years earlier, in 1535, Jacques Cartier similarly included an apothecary—François Guiltault—in his crew. Before the end of the seventeenth century, there were few individuals who, today, might actually be called scientists. Many of those “colonial scientists” lacked any formal training in the sciences, and instead applied skills that had been gained for other purposes. Champlain, for example, likely learned much of what he knew about surveying and cartography while in military service before coming to the New World. Such men frequently learned as they went. Historians who have analyzed Champlain’s writings and maps suggest that much of what he learned about navigating ships and producing maps was acquired through observation and action rather than formal schooling. Those historical figures that we might now label as colonial scientists are therefore most often remembered far more commonly as explorers, administrators, colonists or missionaries. In his entry in the Dictionary of Canadian Biography, for example, Pierre Boucher is remembered above all as an “interpreter, soldier, governor of Trois-Rivières, royal judge, and seigneur of Boucherville”, even though his Histoire véritable et naturelle is one of the most important early natural histories produced in the colony. This is partly because he, like most other colonial scientists, lacked specific training relevant to his scientific work; Boucher came to the colony as a child and was educated by Jesuits who he assisted in their mission work. Others, such as the missionary Paul Le Jeune, were well educated even by our own standards, but in fields that might seem to have little connection to scientific study. Indeed, Le Jeune had taught rhetoric, the art of discourse, before leaving for New France in the early seventeenth century. Colonial scientists often fit studies of colonial environments into broader—and frequently eclectic—intellectual endeavours. Louis Nicolas, another Jesuit missionary who lived in New France towards the end of the seventeenth century, studied Aboriginal cultures and linguistics as well as the plants, animals and peoples that he had encountered in the continent’s interior. Drawing on medieval and Renaissance natural histories and travel books as models, early colonial scientists in New France described incredible creatures and blurred the line between natural and supernatural features of the New World. André Thevet, a Franciscan priest and royal cosmographer (a field whose object of study included both newly discovered parts of the world and the universe more generally) wrote that the sighting of a fleur-de-lis within a maple tree by Jacques Cartier’s crew was an omen for the success of a French colony in the region. The Jesuit Jérôme Lalemant similarly provided a detailed description of a 1663 earthquake that struck Québec, but also included accounts of “fiery serpents… flying through the air,” meteors and “specters and fiery phantoms bearing torches in their hand” in the sky. 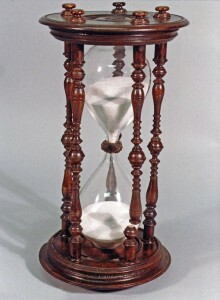 While celebrated figures in the history of science such as Francis Bacon placed the study of such wonders at the heart of the modern scientific method, the juxtaposition of the mundane and the marvelous, typical of colonial science, seems jarring to us and has led many historians to discount the rigour with which many early colonists and missionaries conducted their studies. Even if their written accounts seem unbelievable, the observations and collections assembled by these early colonial scientists were of great value to French audiences. Revolutions in scientific thought in the seventeenth century were putting new emphasis on firsthand observation and experience, opening up new opportunities for people just like this; people who had little or no scientific or medical background, but who nonetheless offered unique perspectives on newly discovered parts of the world because they had actually been there. The earliest travellers to New France brought back souvenirs from their journeys that included mineral samples and new plants. A manuscript produced for Queen Anne of Brittany in 1508 reveals that American plants such as corn, beans and squash were already growing in French gardens within fifteen years of Christopher Columbus’ discoveries. Jacques Cartier brought back samples of what he suspected (wrongly, as it turns out) were Canadian diamonds, as well as a tree known as Anneda. The Iroquoian peoples he had met along the Saint Lawrence had showed him how to use this tree to treat the scurvy that had ravaged his crew. 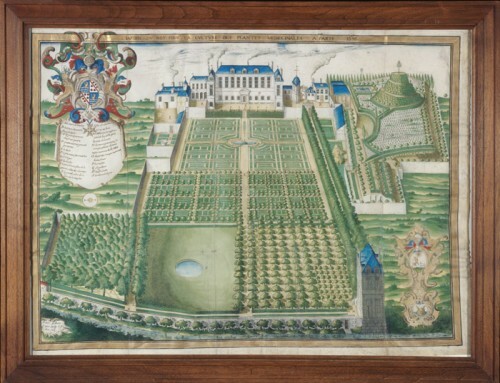 By the early seventeenth century, well-known collectors such as Nicolas-Claude Fabri de Peiresc were also assembling sizeable collections of objects of aboriginal origins, including canoes and weapons, while major gardens in Paris were rapidly expanding their collections of North-American plants. The vast majority of scientific activity in the colony was done with the practical goal of trying not to get lost or starve in the colony, yet the amateur colonial scientists described above also hoped to improve French conceptions of the colony through their scientific activities and writing. 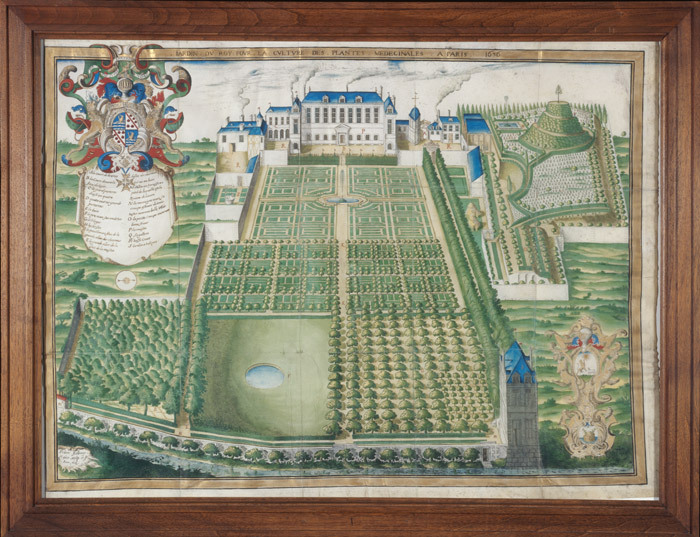 Many of Champlain’s descriptions of local conditions also included references to the experimental gardens he had planted throughout his travels; the success of European crops in the soils of New France were heralded as omens for the success of the colony more generally. 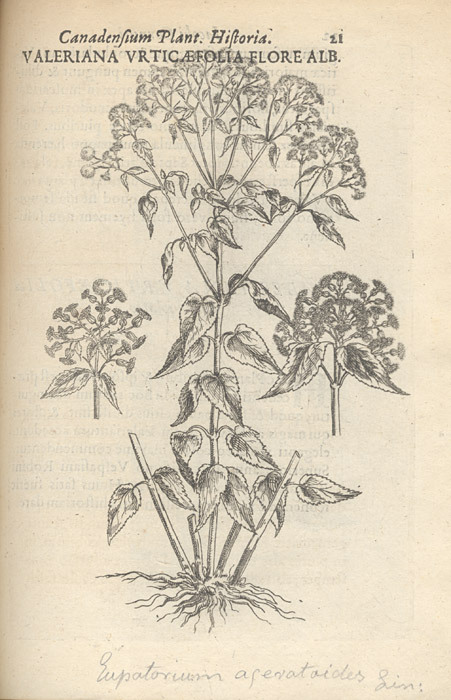 Le Jeune blended his observations with descriptions of botanical experiments undertaken with the goal of making New France more like the old one. While providing detailed descriptions of seasonal patterns and native plants and animals, accounts such as this are still best understood as promotional literature written with the express purpose of inspiring readers to make the voyage across the Atlantic themselves, or to open their purses and hearts to those who already had. These descriptions focused as much on how the plants and animals of New France could be used as much as they did on colour, shapes and behaviour. When Nicolas Denys, a landowner and merchant in seventeenth-century Acadia, looked at an otter, for instance, he saw primarily a valuable fur and a palatable meal. Around the same time Denys was observing the Acadian otters, the explorer and fur trader Nicolas Perrot was devoting as much time describing the methods to preserve and cook such botanical novelties as wild rice and blueberries as he did their shape, colour and size. Explorers, colonists and missionaries came to know about the flora and fauna of New France as they integrated them into their lives; in place of laboratories or finely tuned scientific instruments, the authors who recorded the first experiences of these new plants and animals were more likely to reference their stomachs. While they described New France in great detail, they nonetheless were not aiming to introduce their readers to a totally New World. Discussions of the climate frequently involved the most explicit comparisons between New France and old. Marc Lescarbot, a colonist and important chronicler of early seventeenth-century Acadia, wrote that the winters he had experienced in the first years of colonization fluctuated in the same manner as those in France. The winter of 1607 was, he admitted, “the most rigorous that one had ever seen,” but he added that the winter had been equally harsh on both sides of the Atlantic. Only the year before he had remarked how familiar winter in the New World was, and he was certain that the similarity would only increase as the land was cleared and forests thinned. Pierre Boucher’s Histoire naturelle et véritable, writtenwith the goal of correcting false impressions about the colony and encouraging colonization, similarly aimed to overcome the hesitations of potential colonists who, it seems, were as fearful of frigid winters as they were the Iroquoian people, who Boucher claimed threatened the colony and colonists. 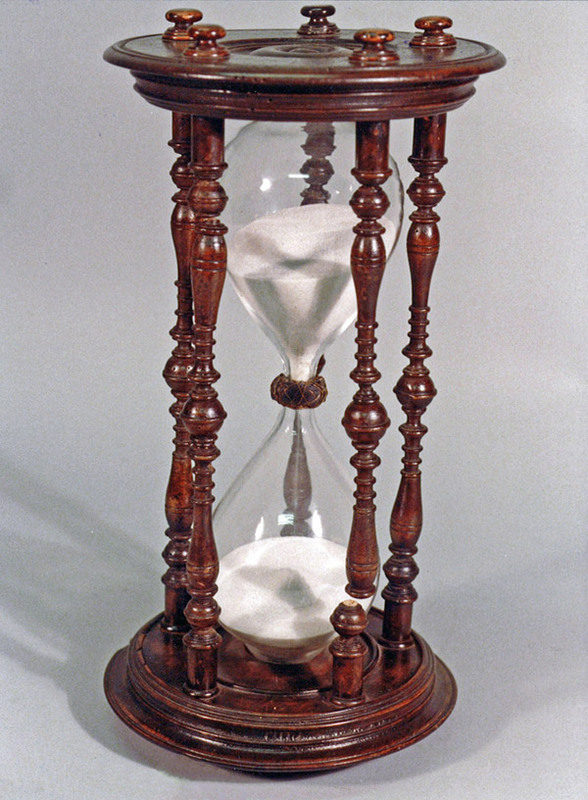 Boucher wrote that the colony really only had two seasons, and that “we pass from a great cold to a great heat, and from a great heat to a great cold.” Instead of using familiar metrics such as temperature, snowfall or rainfall, however, Boucher studied the seasons from the perspective of a colonist who had lived through them. The cold of the winters was, he wrote “not at all disagreeable.” In fact, “most of the days are beautiful and calm, and nobody finds themselves inconvenienced.” At the very least, the snow in New France was less of an inconvenience than the mud of old France. The earliest colonial scientists were therefore most often concerned with the survival of colonists and French lifestyles. They studied the plants, animals, minerals and seasons of New France in the perspective of how they might support the arrival of new colonists and wrote accounts that emphasized fundamental similarities between New France and old. Indeed, the French observers who had travelled thousands of miles to New France frequently discovered environments that were not so different than those they had left behind. Many travellers’ accounts simply provided lists of familiar plants and animals. Toward the end of the seventeenth century, the Jesuit Louis Nicolas did not see the need to provide any more details about plants that he knew would be familiar to French audiences who had never crossed the Atlantic. He wrote, for example, that “All the herbs that I am going to name are so common here in this country that it would take a great volume to describe all of their particularities, and as that is too tiresome, it is necessary to content ourselves with simple names. Asparagus. Red beets. White beets. Carrots. Charvis. Salsify. Panets. Yellow, purple, straight and wild passenades. White chicory.” The list went on and had echoes of similar lists written by other colonial authors; in a time well before complex ecological relations were understood, accounts such as these showed that many of the authors who first described the environments of New France did not think that they were, in fact, all that new. When they did uncover new plants and animals, these amateur naturalists still tried to make sense of them by comparing them to European counterparts. One solution was to break down the new plants into individual parts that, on their own, resembled familiar French flora. In describing the plants near his mission in Iroquois territory in the 1650s, the Jesuit Claude Dablon wrote that “Fruits grow there which are of the colour and size of an apricot, whose blossom is like that of the white lily, and which smell and taste like the citron.” Sometimes they took this to extremes and wrote accounts that are probably just as confusing to modern readers as they would have been in the eighteenth century. Another Jesuit described a plant that he had found at his mission south of the Great Lakes: “But among the fruits of the Country those which seem to me to be the best, and which would certainly be appreciated in France, are the Piakimina and the Racemina. The latter are perhaps twice as long as the finger and about as large as an infant’s arm: the former resemble medlars somewhat, except that the crown is smaller” (he was referring to persimmons and pawpaw). Colonial scientists in the seventeenth century saw their task as discovering the familiarity of their new environments. Upon him lustily, & beat him well. Sieur de Dierèville, Relation of the Voyage to Port Royal in Acadia or New France, ed. John Clarence Webster (Toronto: Champlain Society, 1933), 137. Many of these authors seem to have remained convinced that differences between the environments of the New and Old Worlds could be minimized by taming animals, or even erasing them entirely, with the introduction of French agricultural techniques. The Jesuit Paul Le Jeune wrote in an account of his mission in 1636 that he looked forward to the day when elk would be domesticated. As he explained how some colonists had already captured some males and females, he wrote that one day they would be used in the same manner as horse or oxen, and that tamed beavers would provide a nearly limitless supply of meat. It was only after experimenting with the wild grape of New France for over a century that colonists and missionaries learned that they were in fact a different species from those that they had used in France; even as numerous authors carefully described the new types of grapes they encountered in settlements and in travels, they remained convinced that cultivation would make them more like their French counterparts and that, more importantly, they would be able to coax them into producing good wine. These authors were also on the lookout for potentially valuable natural resources that could support both colonial lives and livelihoods. Interest in supporting colonial industry also drove early geological study. Mineral samples were sent to France for testing throughout the earliest periods of colonization and exploration. Jacques Cartier, as noted earlier, brought what he hoped were diamonds and gold on his third voyage to North America in 1541, while the Governor of Acadia, Isaac de Razilly, sent samples of lapis lazuli to Paris for testing. More often, however, geological study was focused on finding more prosaic metals. By 1535, the time of Cartier’s exploration of the Saint Lawrence, there were hints of the presence of metals such as copper. Native Americans near present-day Montréal showed the explorer samples of the metal, telling him that they had come from the west. Throughout the seventeenth century, representatives of the colonial government sent explorers to the shores of Lake Superior to search for the metal. Much of the science of mineralogy was conducted back in France. In 1688, for example, the Marquis de Denonville, then governor of New France, sent samples of lead and copper to France to test for quality. 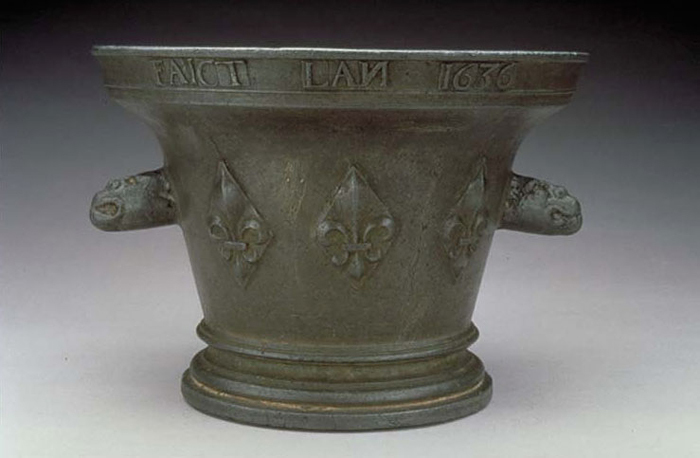 Discussions about the mineralogy of New France in the eighteenth century often focused on the need for skilled workers to assess, collect and work with metals such as copper. While minerals travelled to France for such tests, mining experts also occasionally visited the colony, as illustrated by the 1739 trip of two German experts, father and son, to the interior of the colony to assess the financial viability of the deposits. Significantly, the French learned much of what they knew from aboriginal peoples; as guides, cooks, friends and even roommates, they introduced them to the New World. Champlain, for example, followed up his description of the Atlantic Sturgeon (Acipenser oxyrincus) by describing how he had seen two native peoples catch it with a birch-bark torch, a canoe and a harpoon. The Jesuit Le Jeune provided a description of the same fish several decades later, writing that it was “a Native” who had introduced him to it along the Saint Lawrence. Early colonists and travellers often learned about New World nature alongside native peoples; Champlain joined a Huron hunting party in 1616, and one winter, Le Jeune stayed with an Innu family. They learned which were the proper seasons to catch fish, and about the seasonal cycle of berries and other wild fruit as they hunted and collected with their native hosts. Native peoples often sought to teach their French guests how to interact with plants and animals. Grounded in their recognition of their own dependence on seasonally available—and sometimes scarce—sources of food and resources, as well as their respect for the spiritual power of the non-human world, they approached plants and animals with caution and reverence. In early seventeenth-century Acadia, the Jesuit Biard learned that he should not throw to the dogs the bones of bears, beavers and other animals that his native hosts had caught for fear of angering their spirit and endangering future hunts. And for those same reasons, the fur trader and explorer Nicolas Perrot learned how to blow tobacco smoke into the nose of the bears he had killed. Occasionally, these types of rules limited what could be learned from native peoples. Indeed, throughout the seventeenth and eighteenth centuries, travellers such as the Jesuit Pierre-François Xavier de Charlevoix complained about the secrecy with which native healers kept their remedies. Another Jesuit, Joseph-François Lafitau, was prevented from discovering the secrets of a particularly powerful medicinal plant because he was male; he wrote that a native informant had told him the remedy could only be collected by unmarried women. In many cases, these insights were dismissed as superstition by French observers and participants, but they were an important part of what native peoples tried to teach them about their shared environments. In 1716, the Jesuit Jean-François Lafitau discovered ginseng near Montréal. He could not have done it without the help of the Mohawk women with whom he lived at Kahnawake. We now know that the plant he discovered was in fact a closely related species of the Asian plant, but that did not stop the emergence of an immensely profitable trade between New France and China in the early to mid-eighteenth century. Lafitau stands out for the public praise he bestowed upon the knowledge possessed by indigenous cultures of local plants and animals, but his reliance on what Native American peoples knew was likely fairly common. Within a few years, his discovery led to a booming ginseng trade between New France and China that continued to rely on First Nations communities. Collecting the root in the fall, entire families and communities travelled throughout the woods of New France where the plant was found. Many colonists joined them; administrative documents even suggest that the plant was pushed towards extinction. The trade collapsed in 1752 because ginseng was being collected out of season and therefore lacked the appearance demanded by Chinese consumers. Over the course of the seventeenth century, colonial science became much more recognizably scientific. Specialized training in fields such as mathematics or medicine became increasingly common in the colony. 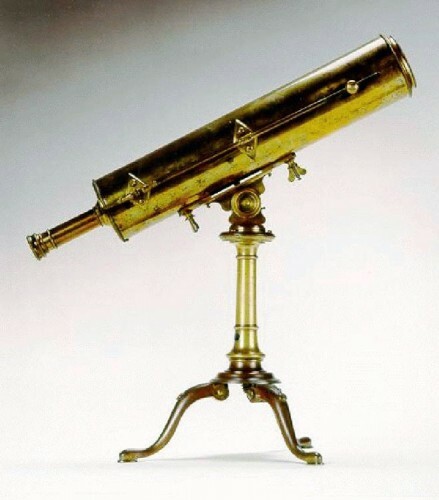 Meanwhile, New France was brought under the control of Parisian scientists and integrated into their global projects of observation and collection. Increased specialization and training was first noticed in the scientific fields that addressed the needs for safe and reliable navigation in the colony. New discoveries in mathematics, from Blaise Pascal’s study of geometry to Isaac Newton’s contribution to physics and optics, were at the heart of the scientific revolution in the seventeenth and eighteenth centuries. Across the Atlantic Ocean, the mathematical sciences became a central way in which experiences of New France were recorded and preserved. 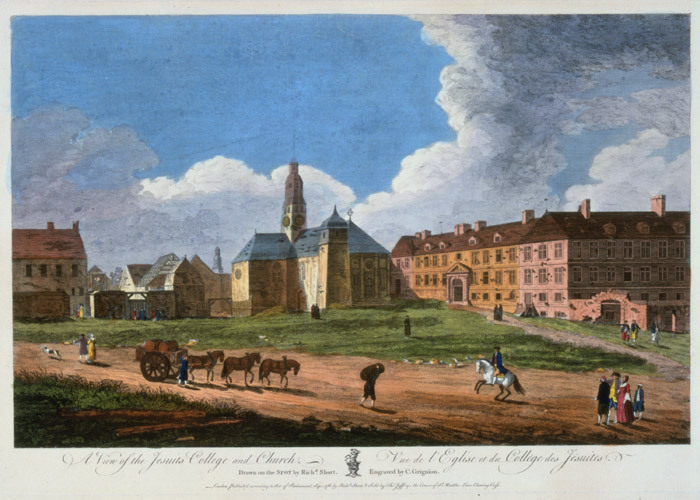 The college founded by the Society of Jesus at Québec in 1635 became a central site for the advancement of mathematical education and science in New France. 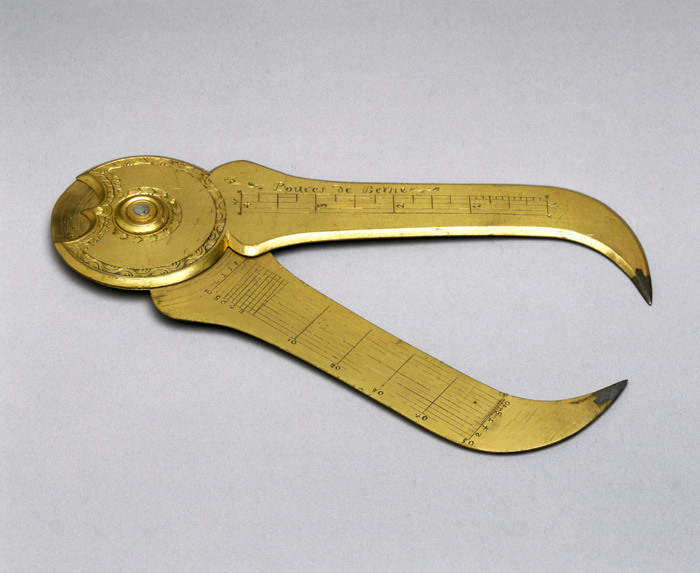 While essentially starting as an elementary school, the college introduced mathematics into the curriculum in 1651 with a focus on the applied mathematics needed for navigation and map making. Jesuits were responsible for introducing new instruments and techniques to the colony, yet in some instances their faith limited what they could teach at the college. Resistance to the astronomy of Nicolaus Copernicus, which suggested that the earth revolved around the sun (heliocentric), meant that students were taught the system of Giovanni Battista Riccioli, an Italian Jesuit who integrated advances in physics and astronomy, but nonetheless maintained the image of a geocentric universe, where everything revolved around the earth. The Jesuits continued to provide much of the knowledge in hydrography, cartography and mathematics to the colony into the eighteenth century, with increasing support from the French state. The latter also supported hydrographers in the colony in the late seventeenth and eighteenth centuries. Arriving in 1685, for example, Jean Deshayes produced the most precise study of the colony’s waterways using skills that he had acquired through formal training and in the service of the French navy off the coasts of Africa and in the Caribbean. 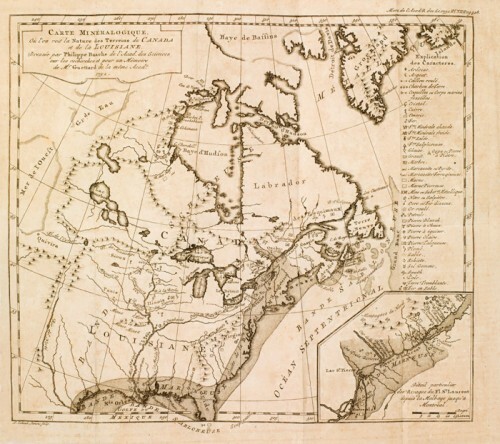 Whether they were used to chart the Saint Lawrence River, the layout of colonial towns or frontier regions where France’s control was contested by aboriginal peoples and rival imperial powers, mathematical sciences were a crucial tool of empire. 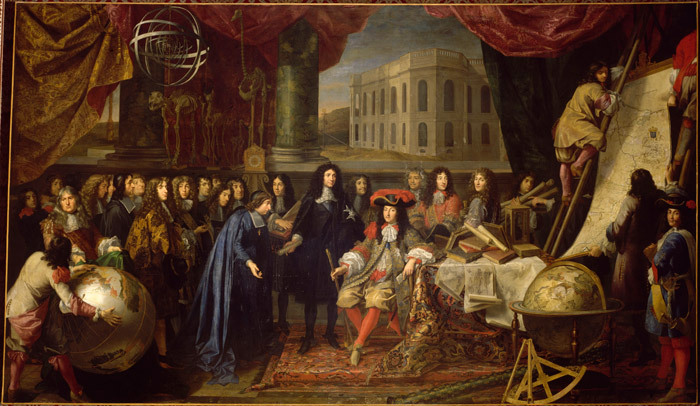 The founding of the Académie Royale des Sciences in Paris in 1666 had a major effect on what science meant in New France and who could practice it. Founding the Académie was part of a larger effort to increase state support for and supervision over the evolution of French culture. Several academies were founded under the direction of Jean-Baptiste Colbert, a major architect of the growing French state under Louis XIV. Supporting literature, the arts and what we now call the social sciences in addition to the natural and mathematical sciences, Colbert’s initiative had a direct influence on the relationships between the scientific community and the French government within France and throughout the French empire. 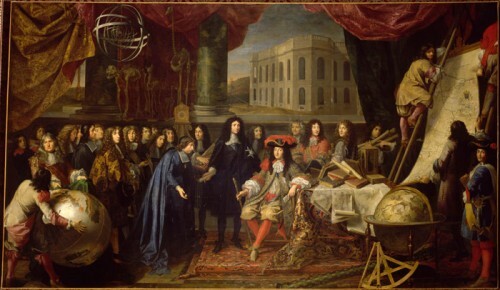 Invested with royal authority, the Académie took on many of the characteristics of the French state under Louis XIV. Meeting regularly in the King’s library, with rich regalia and precise rankings, the Académie and its members had a clear directive to produce knowledge that would benefit both the monarch and the state. 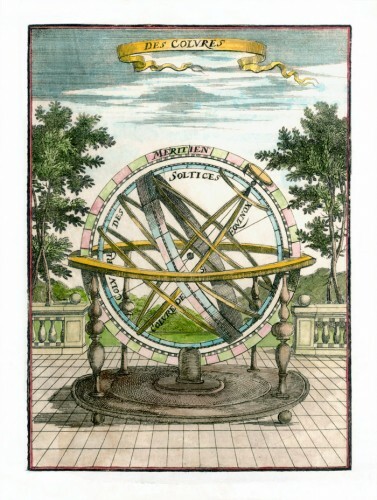 Membership in the Académie was confined to a select few who were appointed as experts in specific scientific fields such as botany, chemistry and astronomy. Of particular importance for the history of science in New France was the close connection between management of France’s colonies and support for the Académie. Colbert himself directly supervised both, and after Colbert’s death many of the subsequent protectors of the Académie also combined their responsibility for supporting science in France with responsibility for the navy and colonies. 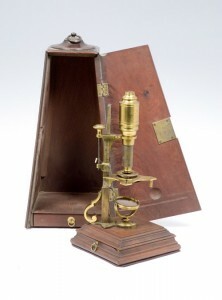 It was not long after the founding of the Académie that this close connection between science and state made an impact in New France. In 1670, the Académie’s first representative reached the shores of North America. The Acadian voyage of Jean Richer, who travelled to the Caribbean as well as North America as an assistant to the great astronomer Giovanni Domenico Cassini, had originally been planned as an expedition to the east coast of Africa. Richer was armed with experimental instruments designed to help calculate a ship’s location at sea; he provided some of the most accurate calculations of the coastal locations and tides to that date. Although entrusted with gathering precise astronomical observations, Richer also collected botanical specimens in Acadia. 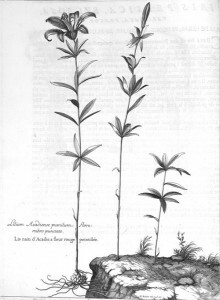 The Mémoires pour servir à l’histoire des plantes, the first major botanical text produced by members of the Académie and published by Denis Dodart in 1686, included a description and an image of a plant called the Dwarf Lily of Acadia, which Richer gathered during his expedition. While securing space aboard commercial vessels and convincing captains to alter their routes to meet the needs of the Académie remained a challenge, launching state-sponsored expeditions with well-trained and disciplined scientists such as Richer utterly transformed science in French colonies and throughout the Atlantic Ocean. Travelling scientists brought colonial science under the direction of a hierarchical and centralized Académie, but it was the arrival of members of the Académie Royale des Sciences in the colony that most radically affected colonial science. In 1699, the royal physician Michel Sarrazin was named the first corresponding member of the Académie in North America. Like Richer and Plumier, Sarrazin was able to draw upon the networks of both the colonial administration and the military to furnish Parisian scientists with observations and specimens. Responsibility for French colonies, the navy and the Académie remained linked within the French government. In 1707, for example, the minister of the marine, Jérôme Phélypeaux, the Comte de Pontchartrain, wrote to New France’s intendant Raudot, himself a supporter of Sarrazin’s work, ordering the “Officers of the King… to receive these cases of plants into their buildings without difficulty, to have them placed in an appropriate place where they will be preserved and to send them to my address.” Individual intendants in the colony, such as Michel Bégon, supported scientists like Michel Sarrazin both to serve the interests of the King and, it seems, out of their own personal interest in the natural world. Michel Sarrazin personified the close connection between colonial science and the French government in the eighteenth century; when he died in 1734, Sarrazin was a member of the colony’s superior council, the colony’s royal physician and a corresponding member of the Académie Royale des Sciences. Sarrazin first arrived in the colony in 1685 as a military surgeon, but soon returned to France to complete his medical training. It was then, while in Paris, that he was also trained as a naturalist by the famous botanist Joseph Pitton de Tournefort at the Royal Garden. Sarrazin returned to New France in 1697 as one of the colony’s few medical doctors. He was elected a correspondent of the Académie in 1699. Over the course of his work for the Académie Sarrazin provided invaluable observations of North-American flora and fauna, as well as specimens that stocked collections and gardens throughout Europe. He began sending plants to his patrons in France as soon as his ship touched land in what is now Newfoundland, and archives in Paris show him sending plants such as Common Milkweed, Sugar Maple and American Pokeweed. 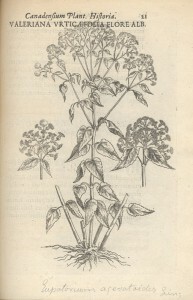 He also provided observations of these plants for Parisian readers. An article on maples that was published in a journal of the Académie hypothesized about the reasons why Canadian maples produced so much syrup; it was, he claimed, the country’s cold and snowy winters that made them more productive than European maples. He also studied animal anatomy; for instance, using equipment provided by his Parisian patrons, he wrote studies on porcupines and muskrats. After Sarrazin’s death, his replacement, Jean-François Gaultier, also arrived as a royal physician and corresponding member of the Académie. Increasingly, this meant that the sort of amateur science that typified early efforts was brought under the supervision of the Académie and its members, such as Sarrazin. Local naturalists looked to Sarrazin and his Paris-based colleagues for legitimacy and acknowledgement of their work. After Sarrazin’s death, for example, a local surgeon named Hubert-Joseph de la Croix collected plants for French botanical gardens in the hopes of being viewed as an attractive candidate for royal physician… in vain. Around the same time, Jacques-Pierre Daneau de Muy, military commander of Fort Saint-Joseph (today Niles, Michigan), penned a mémoire on medicinal plants that he forwarded to his superiors in France. Would-be scientists such as de la Croix and Daneau de Muy were not only reimbursed for their expenses, but found favour with colonial administrators as a result of their actions. While the close integration of science and state opened up new avenues for self-promotion within the colony for some, it meant that the contributions of many others, such as women and Native Americans, became less visible. But to fulfill their mandates as royal physicians and administrators, Sarrazin and Jean-François Gaultier relied upon these local collectors. Sarrazin tried to explain his own limitations to his Parisian patrons when he wrote that “I do not know if you think that we collect plantsin Canada as in France. I could cross all of Europe more easily, and with less danger, than I could cross 100 leagues in Canada.” Both local scientists, such as Sarrazin and Gaultier, and their Paris-based patrons wrote guides for the local collectors upon whom they relied for specimens. In one text, Henri-Louis Duhamel du Monceau, an established botanist and agricultural reformer in France, advised his collectors to record as much information as possible, including local, indigenous and, if possible, Latin names, where the specimen was collected and the time of year that it was gathered. Any observations could be put in a separate category, alongside recommendations to the “commissionnaires” who would help transport specimens across the sea. In the process, it appears that collectors lost the independence that had defined earlier colonial scientists such as Pierre Boucher. The science of men such as Michel Sarrazin and Jean-François Gaultier was altogether different than those of the early colonists and missionaries. By the start of the eighteenth century, colonial scientists had already ceded much of their authority to their Parisian counterparts. When the royal hydrographer Jean Deshayes attempted to publish a map of the Saint Lawrence River, he was forced to turn it over to members of the Académie who assessed its accuracy. The map was published in 1702, but the authority of the Académie and its superiority over colonial scientists was by then firmly established. Perhaps more importantly, however, was the new perspective that these trained scientists brought with them. For if early authors of colonial natural histories had searched for similarities between France and New France, the science of the eighteenth century was increasingly driven by a desire to catalogue what made New France unique. When they discovered a new plant or animal, naturalists such as Sarrazin and Gaultier sent both physical specimens and written descriptions to Paris, thereby contributing to collections of a truly global scale. Botanical specimens were sent annually; animals were more difficult to send to Paris alive. In 1727, Sarrazin suggested that his Parisian counterparts compare his written descriptions of Canadian otters with similar animals they could observe in the Seine. Gaultier’s solution in 1753 was more common: in that year, he sent specimens of birds, mammals and fish in barrels of rum that would preserve them during transport and make the study of them in Paris possible. The study of these new plants and animals focused on what made them unique. Following conventions common throughout Europe at the time, written descriptions often detailed physical appearances. Sarrazin used instruments acquired from Parisian patrons to provide a detailed analysis of the anatomy of several mammals, including beavers, otters and porcupines. The publication of Sarrazin’s study of porcupines demonstrated how Canadian species differed from those of Africa. The difference, he claimed, laid in the muzzle and whether it resembled that of a rabbit (African) or not (Canadian). Sarrazin was also able to catalogue seven distinct types of quills, which he carefully measured and studied under a microscope. In a 1730 publication of his study of sugar maples, Sarrazin’s methods were similar as he tried to explain why maples in New France produced sugary sap in such quantities. His observations revealed close attention to the seasons, the amount of snow covering the trees and the temperature of the air. Gaultier wrote similar descriptions in a text entitled Description de plusieurs plantes du Canada. Both show how the study of Canadian plants and animals had become a science of difference rather than similarity. The history of science in New France is the story of how early colonists came to understand the new environment in which they were settling. This is a history that is enriched by the diversity of its cast: men and women, colonists and aboriginal peoples, amateur and professional scientists. Science itself remains a moving target in this story. In the first century of colonization, science could and often did include the seemingly unbelievable alongside accounts of new environments that emphasized their fundamental familiarity and ability to maintain French lifestyles. Over time, however, science in the colony became more recognizably scientific. 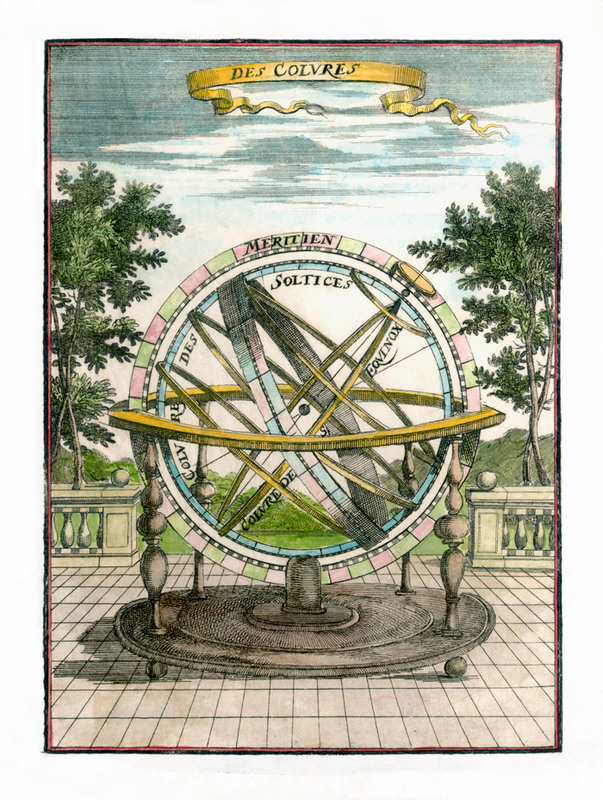 Beginning with Jesuit mathematics, and increasingly after the arrival of trained hydrographers and naturalists, a new emphasis on specialized training and instruments contributed to a science that emphasized the difference between North America and Europe. Whether cataloguing new plants and animals or using complex math to chart the Saint Lawrence River, science also became less inclusive, as fewer and fewer were able to call themselves scientists in the colony; even those few who did had to accept the authority of Paris-based researchers unquestioningly. At the same time, however, scientists in New France became part of a global community of researchers who were actively redefining science and imagining new ways of understanding the natural world. CHARTRAND, Luc, Raymond DUCHESNE, and Yves GINGRAS. Histoire des sciences au Québec (Montréal: Boréal, 1987). DAWSON, Nelson-Martin. L’Atelier Delisle: L’Amérique du Nord sur la table à dessin (Sillery: Septentrion, 2000). LAMONTAGNE, Roland. La Galissonière et le Canada (Montréal, Presses de l’Université de Montréal, 1962). LITALIEN, Raymonde, Denis VAUGEOIS, Jean-François PALOMINO. Mapping a Continent: Historical Atlas of North America, 1492 – 1814 (Montréal: McGill-Queen’s University Press, 2007). MAGNUSON, Roger. Education in New France (Montréal: McGill-Queen’s University Press, 1992). MATHIEU, Jacques. Le premier livre de plantes du Canada: Les enfants des bois du Canada au Jardin du roi à Paris en 1635 (Sainte-Foy, QC: Les presses de l’Université Laval, 1998). ——–. L’Anneda: L’arbre de vie. (Sillery: Septentrion, 2010). SHAPIN, Steven. The Scientific Revolution (Chicago: University of Chicago Press, 1996). SPARY, Emma. Utopia’s Garden: French Natural History from Old Regime to Revolution (Chicago: University of Chicago Press, 2000). VALLÉE, Arthur. Un biologiste canadien : Michel Sarrazin 1659-1735, sa vie, ses travaux et son temps (Québec, Le Quotidien Lévis, 1927). Original research: Christopher Parsons, Ph.D. Historian and Postdoctoral Fellow, McNeil Center for Early American Studies, Philadelphia.